‘It’s all garbage,’ Christie on criticism he isn’t popular outside N.J.
(CNN) – Known for his blunt, tough-talking disposition, Gov. Chris Christie said he’s confident his personality can take root in places beyond New Jersey–that is if his political aspirations expand nationwide someday. “I hear people say all the time, ‘Oh you know, you wouldn’t play well in the South, or you wouldn’t play well in Iowa.’ It’s all garbage. 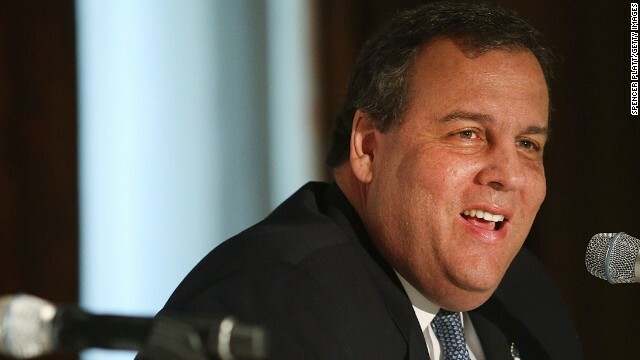 People are people,” the Republican governor said Monday on Sports Radio 94WIP Philadelphia. Christie, who’s thinking about running for president in 2016, is frank about politics and his favorite sports teams. One of them, the Dallas Cowboys, is a turnoff to many his home state where the New York Jets and Giants play. Christie said he’s paid a political price for his football devotion, but added that he could care less. “I would rather lose than try to pretend to be somebody else,” he added. An Iowa poll over the weekend indicated that Christie is one of the least-liked potential GOP presidential candidates in the Hawkeye State, which holds the first nominating contest in presidential election years. But voters still consider him the most likely to defeat the Democratic nominee, according to the Des Moines Register survey. Christie was also asked on the radio program who he’d rather have dinner with: President Barack Obama, Bruce Springsteen, or Cowboys quarterback Tony Romo. For the governor–a well-known Springsteen super fan–the answer way easy. “By the way, the President came in third,” he added. “I’d go with Romo before the President...I’ve never had dinner with Romo, so you got to broaden your horizons here." "Dems hate C.C. because he dont smoke weed and eat healthy snacks at schoool "
Actually I think it was C.C. hating Dems that got him in all this hot water. Of all the things I think that may have hurt him (so far) was Bruce Springsteen's parody of him on the Tonight Show. Dems hate C.C. because he dont smoke weed and eat healthy snacks at schoool . Seriously, folks. Christie just might be the average rocking and rolling football fan, but he's also a short tempered bully. Which Nazi General was it that was the architect of the Chris Christie doctrine of governing? If you repeat the same lie over and over, and you say it loud enough, people will eventually believe its true. It's the reason why America has intelligent, progressive people who acknowledge facts and adapt to the world around them, and yet can't push any progressive legislation through. There are too many Chris Christie's, Rush Limbaugh's and Don Imus', etc. America still has to wait for large groups of people who won't re-examine any of their opinions that their parents taught them from their childhood before progress happens. It's painful to watch. I can only imagine what it was like for scientists back in the day who had to try to explain the truth that we aren't the focal point of the galaxy, and our planet isn't flat. What do you do when you give people the facts and the data and they still choose to believe otherwise? Ex. Global warming is a growing and immediate threat to us. Typical Republican's reply: The Earth is coming out of an ice-age, it's already in a warming phase, we shouldn't be surprised that temps are going up. It's the natural course of change. This completely ignores greenhouse gases. This ignores the fact that greenhouse gases trap the heat that we do have, and that we are contributing a lot of them. Oh and also, all the heat we trap just made the western ice-shelf of Antarctica break off. But that's not news, is it? It's not news til the water is up to your ankles, right? This is when typical Republicans start to blame India and China because of how much industrial pollution they put out. They are conveniently forgetting that India and China's factories are so busy manufacturing all that stuff because most of it is for US! So basically, the Republican anti-environment argument boils down to, "Well, India and China are polluting too, so why is it a big deal if we do?" I think I used the same logic to rationalize my bad behavior in 1st grade. Some people just don't want to learn new things, because it means they have to........ (cue the scary music) admit they were wrong! Oh that's right, you can't be wrong if you "report to a higher calling" as W loved to say as he committed war crimes. Oh, and just a reminder to the American middle class (what's left of it) make sure you continue to blame poor people for all of America's problems. It's definitely NOT Congress, and it's definitely NOT corporations, or rich people. Remember, Congress, corporations, and the 1% are all vital contributors to our economy (where else could the money trickle? ), and all are looking out for the best interests of their customers, and America at large. They should all be trusted blindly and implicitly. Oh my, all the fat comments reminds me of being back in first grade. Grow up people!!! @Mr. Balls: "He's popular at McDonalds."